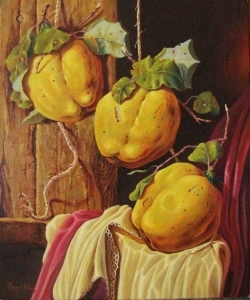 Still life paintings for sale online. 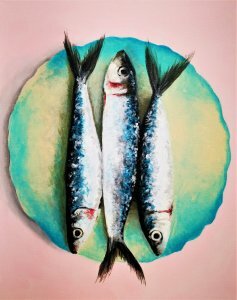 Find Original paintings by talented contemporary artists. 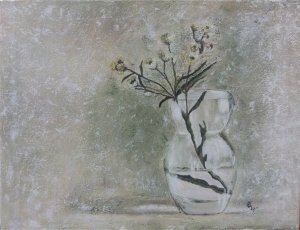 Buy Paintings of Still life directly from artists from around the world. 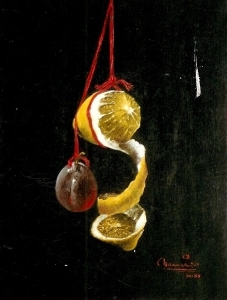 This is a still life of citrus, set in a background that accompanies the pieces themselves. 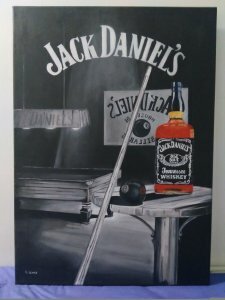 Acrylic in table frame. 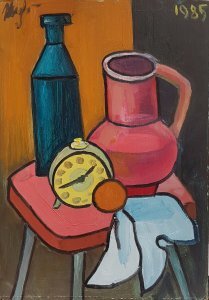 50X21.5 measures cm. 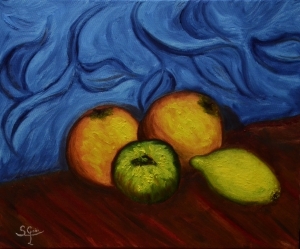 One of the last figurative works of my catalog. 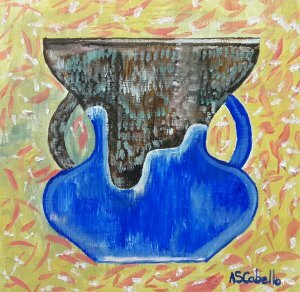 You begin to guess the evolution towards a more conceptual style. 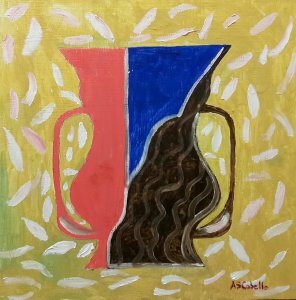 It is sold without framing. 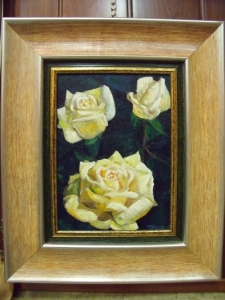 Oil on board with frame. 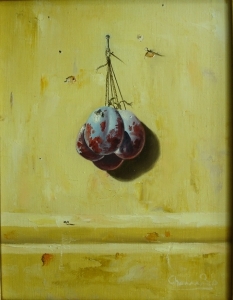 Measures 120X60 cm. 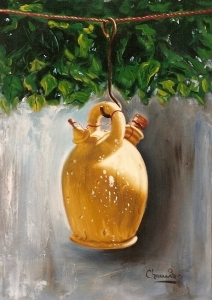 Oil on wood. 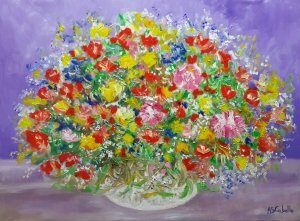 80X60 measures cm. 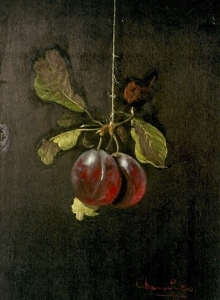 BODEGON APPLES AND BLUE TETERA. Shipping includes shipping and packaging. 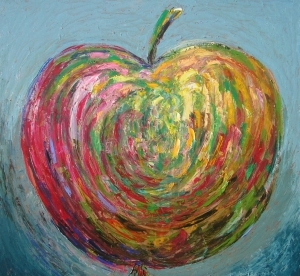 24 BODEGON APPLES AND BLUE TEETH. 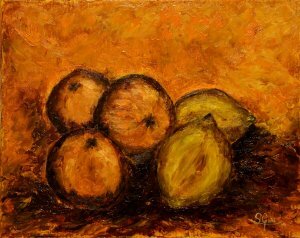 BODEGON BASKET ORANGES, FLOWERS AND APPLES. Shipping includes shipping and packing. 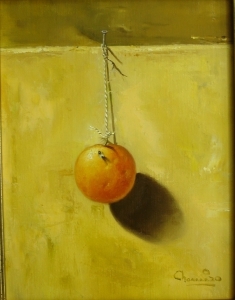 23 BODEGON BASKET ORANGES, FLOWERS AND APPLES. 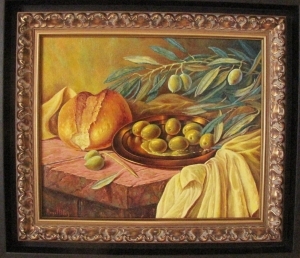 STILL LIFE WITH OLIVES, BREAD AND OLIVE BRANCHES, 27 22 X CMS, FRAMED PRICE € 280. 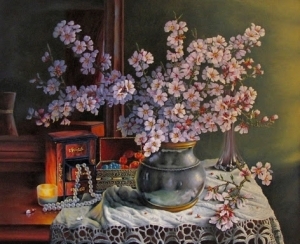 ALMOND WITH FLOWERS STILL LIFE, PEARLS AND CANDLE, 66 55 X CMS. 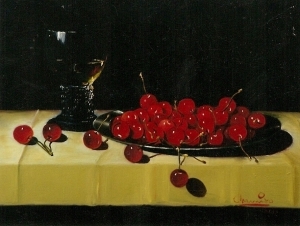 OIL ON TABLE. 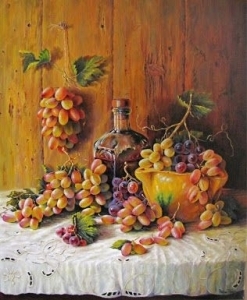 Still Life with Grapes, BOTTLE OF WINE AND MORTAR, 61 50 X CMS. 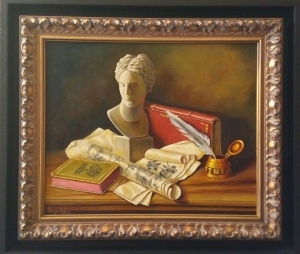 WITH STATUE BODEGÓN, Booklets and inkwell, 27,5 22,5 X. 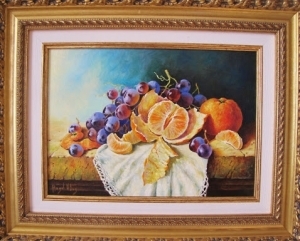 PRICE FRAMED € 265. 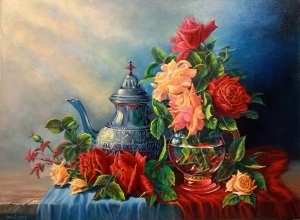 STILL LIFE WITH TEAPOT AND FLOWERS Moruna, 61 46 X CMS. 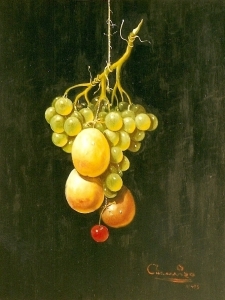 BODEGÓN WITH MEMBRILLOS 27 22 X CMS. 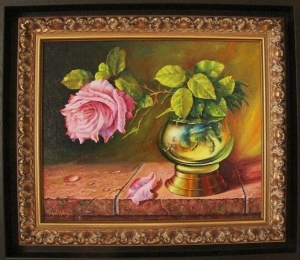 PRICE FRAMED € 270. 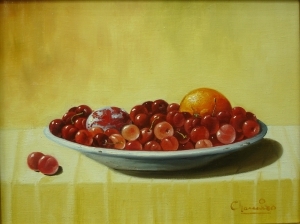 BODEGÓN OCN GRAPES AND MANDARIN 27 22 X CMS. 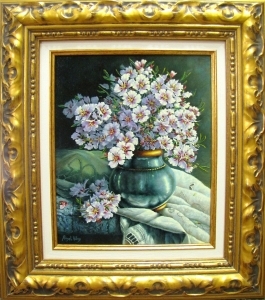 PRICE FRAMED € 200. 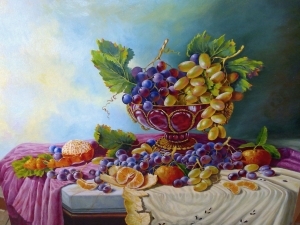 Still life with grapes and tangerines. 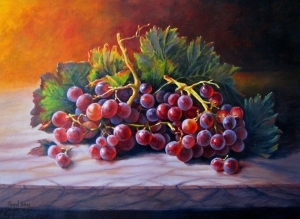 STILL LIFE WITH WHITE GRAPES, RED INK AND FOUNTAIN. 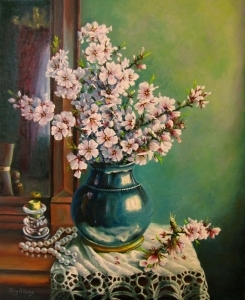 BODEGÓN WITH METAL VASE and almond blossoms. 27 22 X CMS. 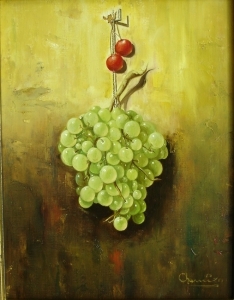 PRICE FRAMED € 280.
an atypical bodegon where what prevails is the color on how or why.